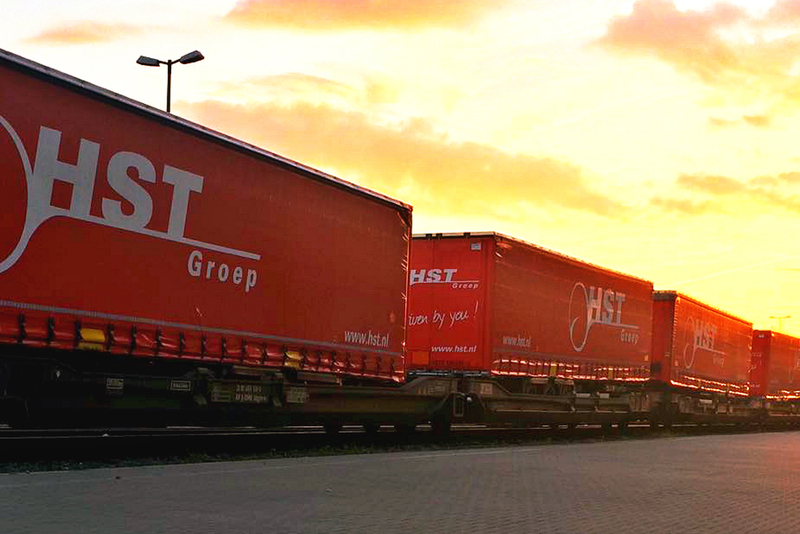 THE NETHERLANDS – HST International B.V. is the European transportation division of HST Group. They are moving around 120 to 140 trailers to Scandinavia weekly, which includes Denmark 35 trailers, Finland 20 trailers, Norway 20 trailers and Sweden 55 trailers. Sweden, as one of the biggest markets of HST International B.V., has 15 drivers locally. In the traditional procedure, it is very common for trucking companies to move their trailers by ferry. But 3 years ago, HST invested on 190 XL trailers in order to move cargo by railway. HST drivers drive the trailers to the Bad Bentheim train station in Germany during the night, and then, load them on the train. This train will travel directly to Malmö in Sweden. Hereafter, HST drivers there will pick up the trailers and drive the last miles. From Malmö, HST can also catch the train to Stockholm. All the HST trailers have installed GPS system; planners in Enschede offices can see real-time on the centralized system where the trailers are. They can also easily communication with drivers and inform them where to go via the board computers on the trucks. This powerful system even record all the driving behavior, gas and brake usage. The data will be used in a regular analysis for the purpose of improving the driving quality. “We joined the ONLINE (79 partners ) and ELVIS ( 145 partners ) network 5 years ago, it is a similar idea and structure to Uniforce. With all partners in whole Europe, we combined all the volume and services, which gave us a great purchase power and salesforce. We have confidence to win the competition, because we have sales running on the road everywhere. For Uniforce it should be the same if all partners work closely as one team” Patrick said.